This quote comes from editor Peter Dickinson's introduction to CageTalk (ISBN 158046 2375), a book which I strongly recommend. Dickinson's English roots and the fact that much of the material originates from BBC interviews gives this Cage anthology a refreshingly cosmopolitan feel. 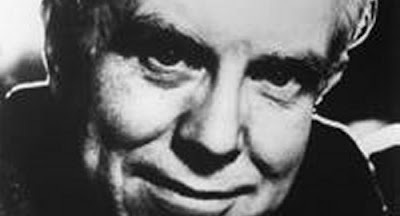 The interviewees include Merce Cunningham, Bonnie Bird, David Tudor, Virgil Thomson, Karlheinz Stockhausen, La Monte Young and Pauline Oliveros. I will be dipping into CageTalk again several more times, meanwhile Cage is happening here and Carter here. The collegiality of the Darmstadt School was short-lived, however. 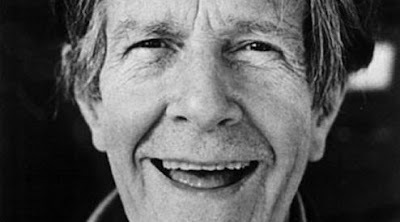 Nono could not tolerate Boulez and Stockhausen's sympathy for the work of John Cage, whose music was the most controversial feature of the 1958 Darmstadt summer school. The following year, Nono denounced Cage's uses of chance and indeterminacy in making compositional decisions as "spiritual suicide". Cage believed that every sound could become music; Nono took the Marxist view that it was the composer's responsibility to recognise that every sound was politically charged by its historical associations. I'm certainly no fan of Cage's ideas or his music, but in this case, I'd say: Cage 1, Nono 0.